The bed cap, a modern alternative for the top of the bed, is a decorative covering with tailored corners at the foot of the bed. Bed caps are available in three styles. The unlined bed cap is hemmed around all four sides and has tailored corners at the foot of the bed. 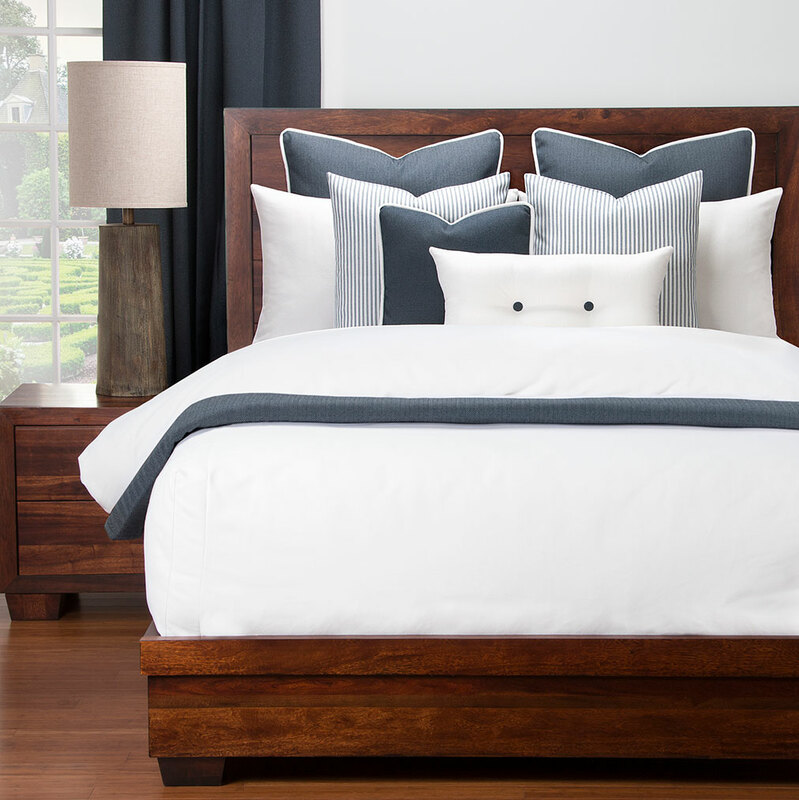 The lined bed cap is reversible and has tailored corners at the foot of the bed. The lined and filled bed cap is reversible, has tailored corners at the foot of the bed and has a polyester insert sewn inside. Sis can custom make any size bed cap with any size drop.